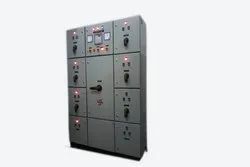 Providing you the best range of electrical panels, motor control panels, automatic power factor control panels, soft starter control panels, electric control panels and vfd control panels with effective & timely delivery. 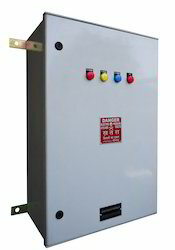 Our company is considered a trustworthy name in the market that brings forth Motor Control Panels that can be availed at reasonable costs. 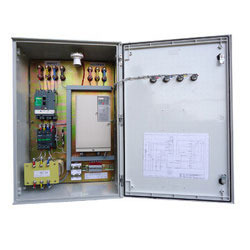 Precisely designed and developed, these ruggedly constructed and efficient control panels are used for starting, operating and controlling a motor for agricultural or industrial applications. To cater to the diversified requirements of our patrons, we hand over the series in different specifications. Ours is a renowned name in the field that brings forth Automatic Power Factor Control Panels at affordable costs. 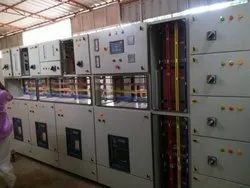 Used for industrial applications, these efficient and sturdily constructed control panels are set up in electrical circuits for decreasing the current passing through circuits and reducing power drawn. Due to the automatic operation, this series is extensively popular in market. We are among the trustworthy names of the business, to engage in manufacturing, supplying and exporting Soft Starter Control Panels. Massively used for reducing power drawn by the electric circuits, these efficient and supreme functionality panels are manufactured using optimum quality raw materials. Known for its efficient performance and ease of maintenance, the proposed range is high in demands. 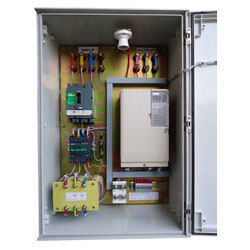 We are considered a trusted name in the business that brings forth a wide array of Electric Control Panels that are available at affordable costs. Energy-efficient, portable and rugged in construction, these control panels are set up with electrical components for controlling motors and equipment. The proffered selection is tested for its performance and quality, before the final send off. Backed by a spacious infrastructure, we bring forth a massive compilation of VFD Control Panels that are specifically designed for saving electricity and providing complete control over electricity consumed. Handed over in standardized packaging, these sturdily constructed panels are extensively famous for their supreme efficiency, longer functional life and excellent resistance to corrosion and adverse weather conditions.